We are excited to share this collection of short stories by Author R.M. Riddley! Come join us along this tour as we look over each story and get to know more about this author! 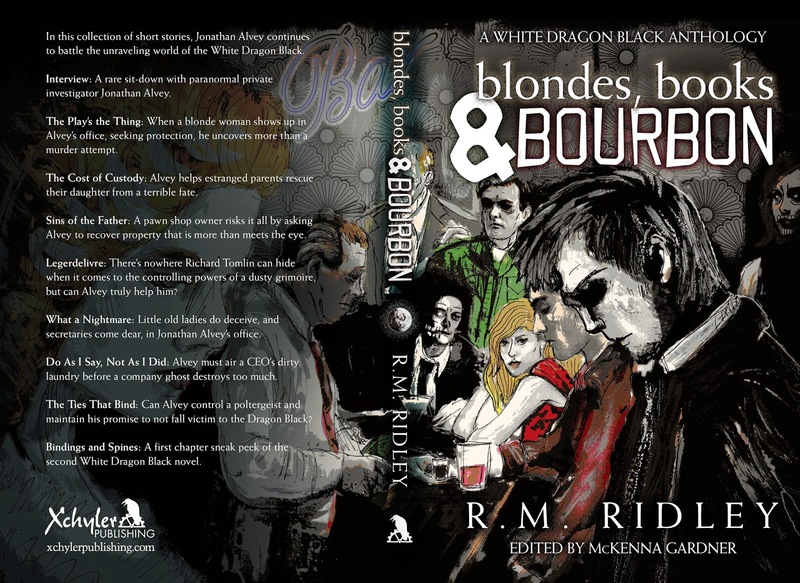 Blondes, Books, and Bourbon is a collection of short stories that we will be learning about over the next week. Each day is featuring one of these stories. R.M. Ridley lives with his wife on a small homestead in Canada, raising chickens and sheep. He has been writing stories, both long and short, for three decades, the themes of which range from the gruesome to the fantastical. 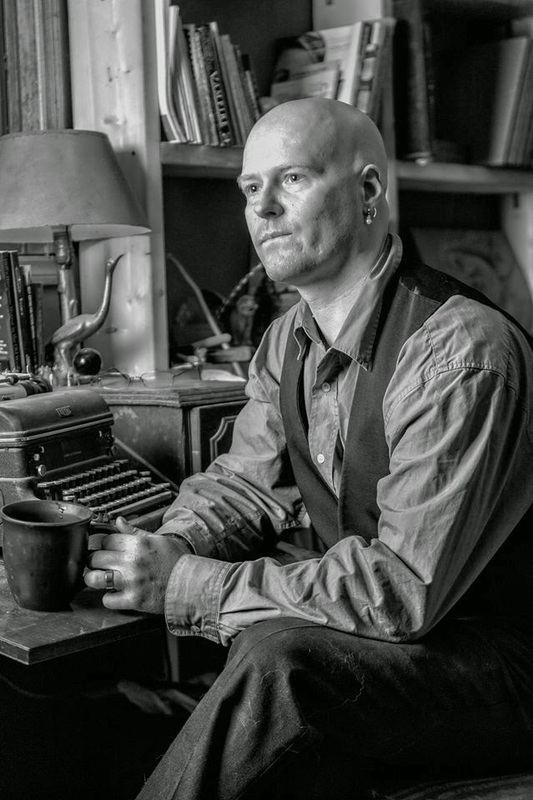 As an individual who suffers from severe bipolar disorder, Ridley is a strong believer in being open about mental health issues and uses his writing to escape when his thoughts become too wild. Ridley's work has appeared in two Xchyler anthologies: "The Case for Custody" in Shades and Shadows: a Paranormal Anthology, and "Charon's Obol" in Legends and Lore: An Anthology of Mythic Proportions. 1. Please share how you came up with the concept for your short stories? Which of the stories was the easiest to write and which was the most difficult? All of my writing comes from my Muse, I can’t construct a story myself. From my perspective, I don’t create my tales - I just record them. Now doesn’t that make me sound crazy? But it’s true – the majority of the stories I write, are idea’s that come to me as snippets of conversations, or little scenes that play out in my head as images. My challenge is to turn those into words that capture what I ‘see’. In many ways, ‘The Ties that Bind’ was the hardest story to write, as I wanted a thread that connected it to the next novel, ’Bindings & Spines’ and yet allowed the story to stand all its own. That made for a challenge that I truly enjoyed. The easiest one to write was probably, ‘Sins of the Father’. Being the first story written in that world, I had no restrictions, no rules, and no history. I didn’t have to keep anything straight, remember details, or worry about contradicting myself. Of course, when I wrote it, I had no idea that it would spawn so many other short stories, and novels. 2. Please name some of your other published works? I’m a paranormal / urban fantasy author mainly, but I cut my teeth with horror, and that will always have a dark spot in my heart. I’m sure my mind will churn out some further grisly morsels yet. 4. And preferred reading genre? When it comes to reading, I’ll take just about any sort of spec-fic, as long as it’s well written. Sci-fi, horror, fantasy, alt-history – give me a well told story, and I’m yours for the duration. 5. What are your top 3 favorite books? ‘The Dark is Rising’ by Susan Cooper was my favourite book as a child, and it still ranks in the top three. ‘Snow Crash’ by Neal Stephenson was an amazing journey meshing cyber-punk, ancient myth, and philosophy and thus must have a place here. ‘Someplace to be Flying’ by Charles de Lint, in many ways is one of my favourites of his works. There is a darkness to it that really appealed to me and it stepped away from some of the better known characters and giving a fresh view into an odd world. 6. Do you have any particular writing habits? You mean good ones? I try to get my writing done at the beginning of the day. After enough coffee to find words, I sit down and write what my Muse deigns to share with me. That way, no matter what else the day throws at me, I have got the important part completed. 7. Do you have a playlist that you created while writing your story? Yes, definitely. It grows and shrinks every so often, as songs no longer seem pertinent to the world, or I find new meaning in songs that inspire me. I also have subsets for the different moods Jonathan goes through and, of course, one for fight scenes. Panster – Absolutely Panster! If I even try to plan a chapter ahead, the entire train of thought comes to a painful screeching halt and I’m left, chin in hand, staring at a black page, listening to the sheep Baa. I think there are two things that I would recommend, one is easy and the other sounds hard, but is actually just a change of mindset. First advice is a standard – Just Write. Get it down, and don’t look back until you’ve told the story. The second thing is - Learn to Love Edits. It sounds impossible, but editing is just writing from a different angle. It is the same process, same creativity, same weaving of words but you are doing it from outside the box instead of inside. 10. What's up next for you? Any moment now, my editor, McKenna Gardner, who worked wonders with my first novel, ‘Tomorrow Wendell’ and acts of magic to get, ‘Blondes, Books & Bourbon’ together, is going to show up with a red pen, and a cattle prod. This will be my cue that she intends to help me get the second White Dragon Black novel, ‘Bindings & Spines’, ready for publishing. Everyone should take a minute and thank McKenna for making these works exist, by the way.